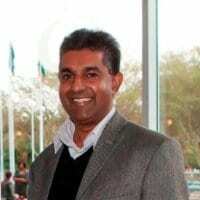 SA Conference caught up with Sugen Pillay, Business Development Director of Thebe Exhibitions Projects to hear more about Sports & Events Tourism Exchange taking place at Durban International Convention Centre from 22 – 24 October 2013. What is the Sports & Events Tourism Exchange? SETE is aimed at promoting SA as an events destination. The two-day conference attracts leaders from the sports and tourism industries from the private and public sectors to debate issues of importance to the growth of sports tourism in the country. Lessons from international experience are shared and delegates use these lessons to develop strategies to enable SA to be globally competitive as a sports tourism destination. Alongside the conference is a two-day exhibition where international buyers are hosted to meet with product in SA that has the capacity and ability to host international events. Exhibitors include event venues, sports tour operators, accommodation facilities, national sports federations, travel agencies, car rental companies, sports marketing companies, etc. Due to the success of the inaugural event in Cape Town in 2011, the major cities in SA wanted to host this event annually. Therefore cities bid to host the event over a three-year cycle and Durban succeeded in hosting it from 2012-2014. This means that this year’s event will now be hosted for the third time. What is SETE 2013’s main goal? The debate about SA hosting the next Summer Olympic Games and/or the Commonwealth Games and other international sports events need to be agreed upon at this year’s SETE conference. Clarity about the role that local government should be playing in supporting major events and the need to work together as a continent to host international events are some of the goals of this year’s event. We also hope to make some announcements of key international events that will be hosted in SA from the buyers that will attend SETE this year. Which key speakers are lined up for the conference? Gideon Sam (President of SASCOC) has confirmed his attendance together with the cities of Cape Town, Tshwane and Durban that will debate issues of local government supporting events with Cycling SA and Swimming SA. This discussion will be led by South Africa’s leading academic on local government and tourism, Professor Ernie Heath from the University of Pretoria. Prof Kamilla Swart an expert in sports tourism will facilitate the strategy discussion involving SASCOC and the CEO of the TBCSA Mmatsatsi Ramawela on the Bidding & Hosting strategy where the debate of hosting international events will be discussed. Martine Ainsworth-Wells, an expert on destination marketing through her experience working in the London Olympics and other major events will share her knowledge and expertise on how to promote domestic travel using a major sport event. What support does SETE have from other African countries? At this stage we have been working mainly with SADC countries and with RETOSA which is the regional marketing association for SADC countries. Over the past two years we had a few countries from SADC participating mainly as conference delegates. Would you like to increase the support from other African countries going forward? Our intention is to increase the participation of African countries. At this year’s conference there is a panel discussion involving key stakeholders representing sports and tourism on the continent to debate the need for a coordinated strategy on the continent to grow sports tourism. We are hopeful that the resolutions adopted at this year’s conference will lead to SETE becoming a platform for promoting sports tourism on the African continent resulting in more countries in Africa participating in SETE. Who should be attending this conference and exhibition? In order to promote ourselves as a destination capable of hosting major international events we need the supply chains of the sports and tourism industries to participate in this event. This means that the hospitality industry, airlines, tour operators, car rental companies, event venues such as stadia, sports marketing companies, corporate companies involved in sponsoring sports events, media agencies promoting sports and any company that wants to benefit from the sports and tourism industries should attend either as a conference delegate or exhibitor. The international buyers who we are hosting will be keen to meet with key players from the industry so that they will bring their event to SA. Government institutions from the sports and tourism sectors will also need to attend, especially the local government authorities such as provincial and city tourism authorities, officials from the provincial and national tourism and sports departments. Undergraduate and post graduate students who want to further their career in sports tourism are also encouraged to attend the conference to understand the global and local trends and lessons that can be learnt. Who should be exhibiting at this event? Exhibitors include event venues, sports tour operators, accommodation facilities, national sports federations, travel agencies, car rental companies, sports marketing companies, provincial tourism authorities, city tourism authorities, sports facilities, golf estates and high performance centres. Does this show attract international buyers? Last year we hosted 47 international buyers from 18 countries. These are international sports federations, global sports tour operators, sports marketing agencies that have rights to events and national sports federations. This year we are targeting 60 buyers who have an interest to bring their event to SA and use SETE as an opportunity to meet with the right stakeholders that will influence their decision to bring their event here. Each buyer has an average of 20 meetings over the three days and is also given the opportunity to participate in a post event tour of the country where they visit the venues and destinations that they would like to host their event. The feedback we received from buyers who attended previous events have been positive and many of them are now hosting events or sports groups in SA. Events like the Clipper Yacht Race in Cape Town resulted from discussions that took place at SETE 2011. What is the impact of this show on the business events sector? International sports federations also convene international meetings and conventions. Many of the buyers that attend SETE can also influence decisions of the hosting of their meetings. FIFA has an annual congress which is hosted in different countries, the IOC Congress was hosted in Durban in 2011 and the World Anti-Doping Congress will be hosted in Joburg this year. Therefore the SETE platform also creates opportunities for the Business Tourism sector to benefit from attracting international sports meetings and conventions. What role do you believe sports play in the events sector? The business of sport is a growing industry and last year it was estimated that sport contributed USD192 billion to the global tourism industry. South Africa has been fortunate in hosting three major world cup events however to sustain government’s investment in the infrastructure developed for these events it will be important for the country to attract more international events. In 2009, when the world was experiencing a global decline in tourism due to the global economic recession, SA experienced 4% growth in foreign tourist arrivals. This was due to the country hosting the IPL, Lions Rugby Tour, FIFA Confed Cup, ICC Champions Trophy and the FIFA World Cup Final Draw. We need an aggressive plan where we have the commitment of government and the industry to host more events on a regular basis. What will be new at this year’s SETE? This year the conference precedes the opening of the exhibition to allow exhibitors to participate in the conference. Conference delegates and exhibitors will have more opportunities to network this year. More quality buyers will be hosted and the conference will have a selection of high profile national and international expert speakers on various issues affecting the sports tourism industry. There are also a few surprise announcements and features that will be made during the event. What can visitors and delegates expect? The key focus this year is to agree on the key international events that we should host over the next 17 years. The 2022 Commonwealth Games and the 2024 Summer Olympic Games are high on the agenda. Delegates attending the conference will have the opportunity to influence this decision and key government stakeholders will be in attendance to outline their plans and strategies to commit to the bidding and hosting of such events. Secondly we are confident that the type of buyers hosted this year will result in new business for the South African sports tourism market. Exhibitors are encouraged to pre-arrange these meetings through our online diary system to benefit from potential business opportunities. In your opinion, does sports events belong in the business events sector? There are definite cross selling opportunities between both sectors. Sport is a thriving industry and therefore it makes sense for the business tourism sector to take advantage of opportunities within the sports industry. Both sectors need to work closely with each other to enjoy the benefits. For example a golf estate should partner with its local convention bureau to offer corporate golf packages to delegates attending a major conference. The Sports and Events Tourism Exchange is hosted by the KwaZulu-Natal Department of Economic Development and Tourism, partnered by CATHSSETA, SASCOC, Tourism KZN and Durban Tourism, Tsogo Sun and supported by Durban KZN Convention Bureau and the exclusive broadcasting partner SABC.